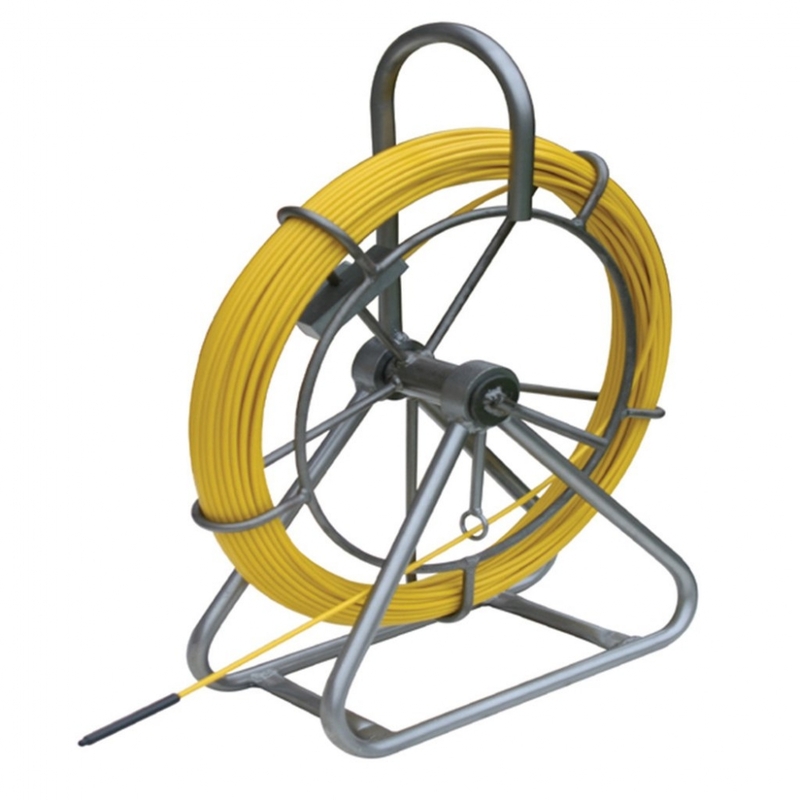 The 4.5mm Pipe Tracer (Flexitrace) Rod provides a lightweight and compact solution for locating ducts, pipes and drains. The unit can easily be transported and deployed by one person and provides an alternative to traditional pipe location techniques using a Cobra Rod / Duct Rods and a Sonde Transmitter to locate plastic pipes, pipe / duct obstructions or collapses. To be used in conjunction with a Cable Locator and Generator â compatible with any locator / generator which operates at 33Khz. Feed the rod into the duct and attach a Signal Generator to both terminals of the unit, this energises the end coil housing (Sonde) and allows it to be located as a traditional Sonde using a Cable Avoiding Tool. Feed the rod into the duct and attach a Signal Generator to one terminal of the unit and the other terminal to an earth stake. The Rod can then be located along its whole length with a Cable Avoiding Tool.